BlackSky Global is an emerging company in the field of commercial Earth Observation, aiming to deploy a revisit-driven constellation of high-resolution imaging satellites to various orbital positions. Ultimately, the company hopes to operate 60 satellites to achieve a revisit time of under one hour. 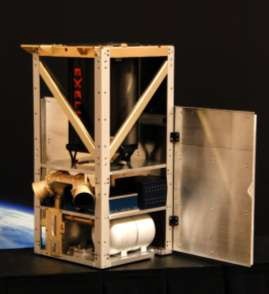 The Seattle-based company has contracted Spaceflight Services to design and build the satellites and acquire launch opportunities while Harris Corp.’s newly acquired Exelis division provides the optical systems. 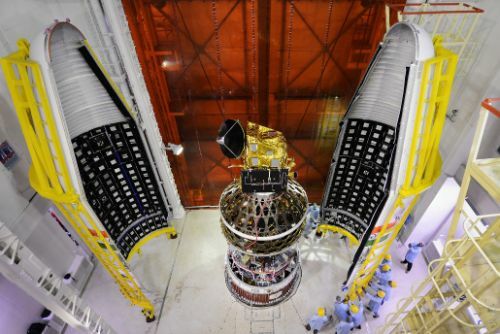 Each satellite, weighing around 44 Kilograms, is outfitted with a propulsion system to guarantee at least three years of orbit and constellation maintenance. The company’s business model is not driven by image resolution as one-meter imaging has become common, but rather the revisit time over a given area. Resolution-wise, the company holds the belief that a one-meter ground resolution falls in a sweet spot – enabling relevant applications such as tracking of traffic, counting shipping containers, identifying progress of man-made activity, but not resolving an individual person, thus avoiding privacy issues. 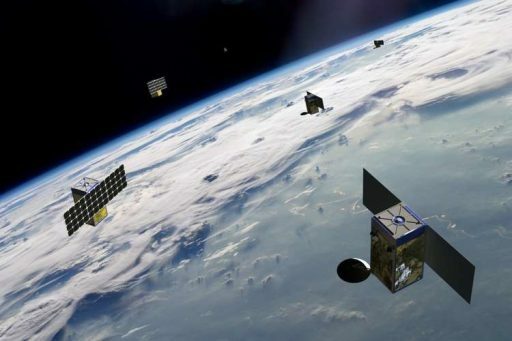 BlackSky aims for a three-year turnover – operating a satellite for a mean mission duration of three years during which it turns a profit and finances its replacement. This high cadence of in-orbit replacement will enable new technologies to reach orbit quickly while also allowing the satellites to use commercial technology not optimized for long endurance in the space environment, reducing the cost-per-satellite. Per the company’s plan, a pair of pathfinder satellites will validate the imaging system and data processing chain followed by four operational satellites within one year of the pathfinders. 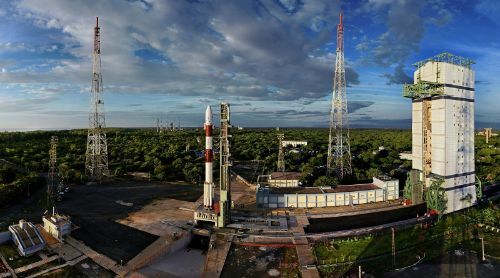 To deploy the operational constellation, the company foresees launches of 18 to 20 satellites per year – taking three years to establish the constellation before switching into a sustainment mode. 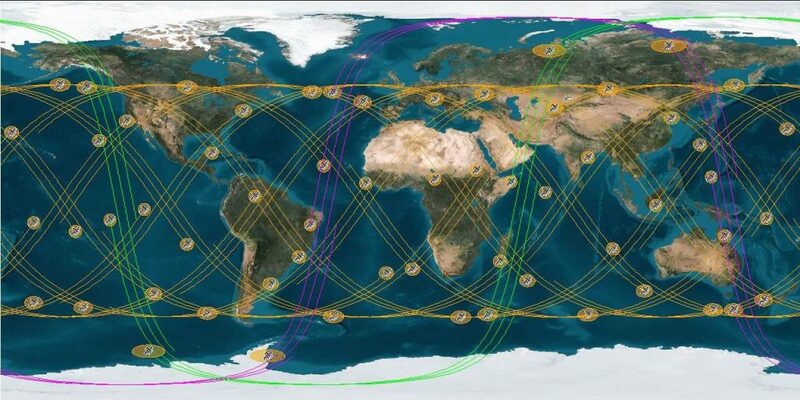 The BlackSky satellite constellation has been optimized for revisit – operating satellites in different orbital regimes. A pair of satellites will deliver global coverage from Sun-Synchronous Orbit while the rest are split in eight orbital planes. Around 90% of the world’s population reside between 55 degrees north and south latitude, allowing the constellation to be optimized to maximize revisit times over populated areas in order to monitor the flow of goods, services, economic tracers and other human activity. The constellation operates satellites in orbits inclined 51.6, 45 and 28.5 degrees – creating an ultra-high revisit rate for latitudes between 30 and 52 degrees. At least 17 ground stations across the globe are in use to accept imagery from the satellites to enable a rapid turnaround from an image being ordered to it arriving at the customer. When fully operational, BlackSky aims to achieve revisit times of 10 to 60 minutes for most locations on Earth with image delivery times better than 20 minutes for the majority of cases. 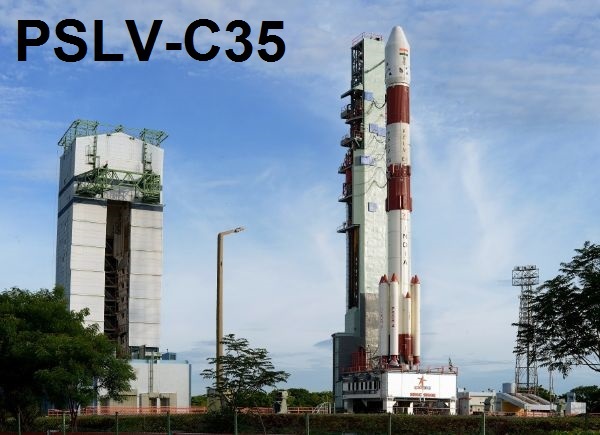 No technical details on the satellites is available other than their mass of 44 Kilograms. Each features a pair of deployable solar panels plus a body-mounted panel. Attitude determination is accomplished with stellar sensors and communications are handled in UHF and S-Band for telemetry and commands, and X-Band (8080MHz) for image data. The telescopic imaging instruments of the satellites cover the RGB bands at 400-510 nanometers (blue), 510-580nm (green) and 590-750 (red). From an operational orbit 450 Kilometers in altitude, the satellite covers a 4.4 by 6.6-Kilometer field of view. 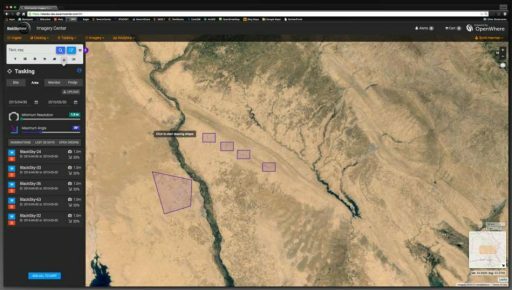 The satellites can be operated in different image modes including single frame, target tracking for multi-angle images up to 1FPS video, area coverage via mosaics, and image strips of up to 400 Kilometers. Off-nadir imaging is possible to angles of 30 degrees. Another unique aspect of BlackSky’s operation is user access – paying customers can use a web-based interface to select what areas they need imaged and when, essentially streamlining the satellite tasking process by allowing users to directly place tasks for individual satellites. Data is also returned using the Internet-based system to create an easy-to-use system capable of handling a large number of requests and high volumes of data.